Tobias Stark joined the Interface Group for his Master thesis in September 2014 as a Master Student in Process Engineering at ETH Zurich. The goal of his research is computational modeling of coupled O2-CO2 transport in the renal cortex. Before starting his Masters at ETH, Tobias received his Bachelor`s degree in Mechanical Engineering from the Karlsruhe Institute of Technology (KIT) in Germany. 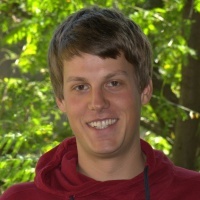 Tobias successfully completed his thesis titled “Computational Modeling of Coupled Oxygen and Carbon Dioxide Transport in the Renal Cortex” in April 2015 and will continue with his studies as a doctoral student at the ETH Zürich.